The ancient city of Suzhou, thousands of businessmen gathered in heaven because of Beijing Hangzhou canal. 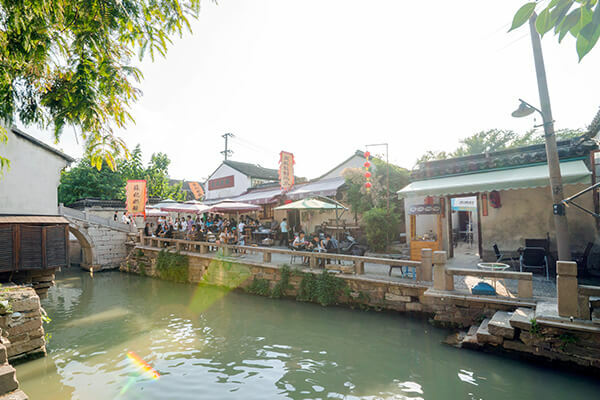 Taking a boat tour along the ancient canal, the lights along the coast of Suzhou and the construction of the ancient city of complement each other. Shan tang Street is famous for displaying Shan Tang cities rich history and culture. It is a typical jiang su water alley full of vivid folk culture. The street has fifteen ancient bridges across the river. Come here to find out about the local folk culture , local shops and see small boats along the river. 3. Transportation:Take bus No.406,317,529,44,64,304 or the tourist bus No.1 to Shantang Street Station. Suzhou Ancient Canal Tour Company provides night cruises on the city moat. What most visitors fail to realize is that large part of the city moat is actually the Grand Canal. Over 20 historical attractions of Suzhou are united by it, making for an exquisite night tour. In the evening, you can enjoy the lights from the ancient city walls, Couple’s Garden, and Baodai Bride. Though day time tours are lovely, colors and lights of night tours are incomparable. The trip circumnavigates the entire ancient city and will take about 80 minutes.